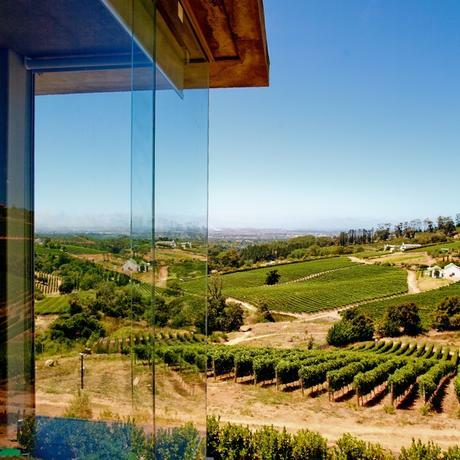 The very name Constantia evokes the old world and the weight of history. Constantia is experiencing a new flurry of activity as it reinvents its wine tourism offering to cater to guests, young and old. 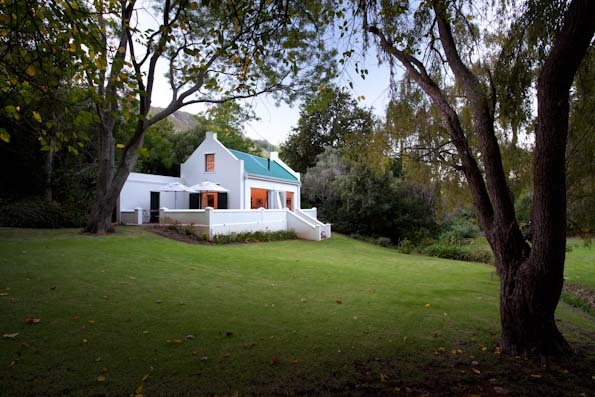 Across the board what is on offer is of a consistently high standard, to be expected in this verdant valley, home of old money in the Cape. The Red Hop on Hop off buses have introduced scores to the delights of the winelands right on Cape Town city’s doorstep. Those to benefit most have been Groot Constantia, Beau Constantia and Eagle’s Nest where the London-style buses stop off. Starting off at Eagle’s Nest owned by the Mylrea family, the fresh ‘Little Eagle ‘Rosé is the perfect breakfast wine. For young families it is hard to beat the picture perfect dell surrounded by established trees to the left of the tasting room. Because it is a boutique family-owned winery, it is highly likely that you will encounter a member of the family helping out in the tasting room. The venue is very popular on weekends when families – including well-behaved dogs – can come and spend the day enjoying the peaceful ambiance and one of the many platters and picnic options on offer. By special arrangement one can enjoy – at a price – a trip up to the highest vineyards with jaw –dropping views in the farm’s rustic 4 x 4. Under the leadership of winemaker, Stuart Botha, Eagle’s Nest Shiraz has secured the accolade ‘Best Shiraz in the world’. During a private tutored tasting only possible through booking a private wine tour with guide – we enjoyed the 2015 Sauvignon Blanc – yet to be released, made from 30 year old bush vines from the Darling area. Well known for their Viognier, the 2014 did not disappoint. The 2011 Merlot, which was bottled in 2013, with its delicious savoury meatiness reflecting the minerality and iron from the granite block was my favourite. Constantia Uitsig is home to the flattest vineyards in this valley. Formerly home to the old River Café, La Colombe and the Constantia Uitsig hotel, loyal past customers to these old Cape Town institutions have had to adjust to the changes. The new owners are now establishing a new destination winery. Jacques Du Plessis is the new winemaker who performs an impressive sabrage on the Uitsig MCC. The new mountain bike park is already in operation even though parts are still under construction. Plans to build a coffee barn serving coffee and pastry from the Open Door restaurant are in the offing as is a picnic area near a little dam planted with Fynbos banks. A new green cellar on the estate will produce its own wines on site. Another great wine tourism idea is a public vineyard where members of the public can come and pick Hanepoort grapes. Although I was an ardent fan of The River Cafe, I like the new Open Door restaurant with its hands on owner and great decor. They have a brilliant Children’s menu with mains such as Spaghetti with pea sauce, crispy bacon and Parmesan. Their cookies and steamed milk dessert also looks good. Their standout white wine is the white blend with Semillon making up 70 % and Sauvignon Blanc 30%, a reversal of the traditional percentages, although their Chardonnay Reserve 2013 with ripe pineapple notes was a close second. Was really interested to hear what has been happening at Uitsig, I’m sure the kids will love the bike park! So good to be reminded about how much there is right on our doorstep…such a wonderful place to live. 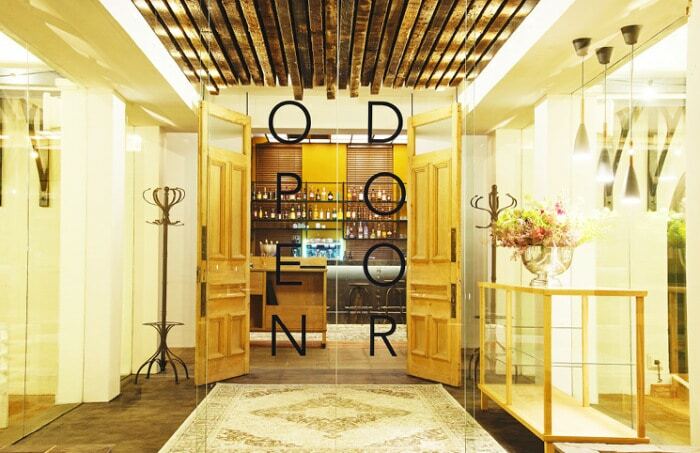 I was also a fan of the River Cafe so I am happy to see that the Open Door is well worth a visit. The Red Hop On Hop Off bus is such a great idea for a day out with visitors.